Harsh sirens tore through Mogadishu's afternoon air as ambulances raced to an explosion scene. This is a developing story and so far at least 11 have been reported dead in the Somali capital. A respected journalist believes that this is all Al Shabaab. 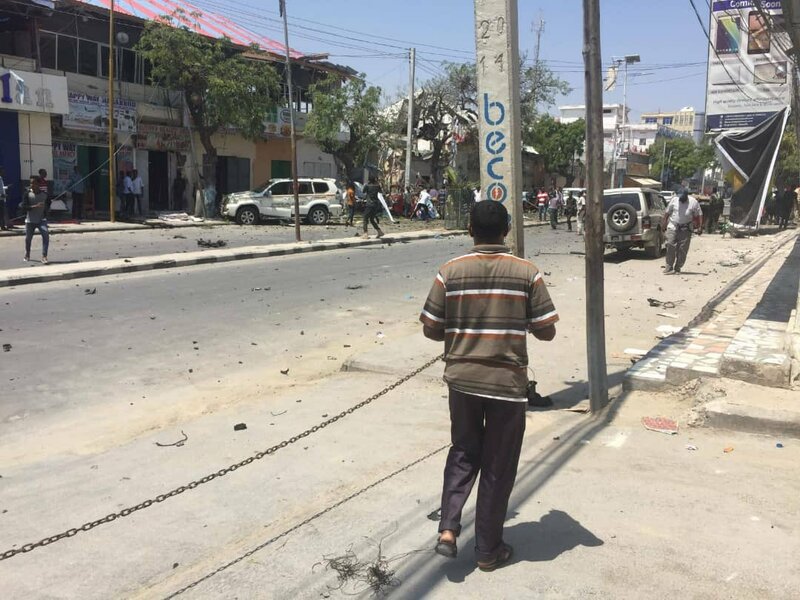 BREAKING: Huge explosion reported in Mogadishu, shattering windows in far away buildings - witnes.